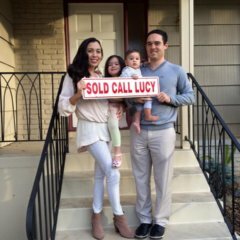 I used Lucy for both the sale and purchase of a home in Folsom. My experience with her comes from both the seller and buyer perspective. From the first time I spoke with Lucy, she was responsive and honest. 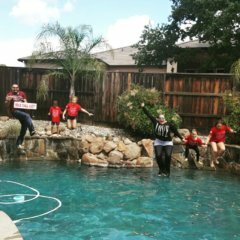 I have a very large family and we needed to purchase a large home, in our price range, in Folsom. Lucy was able to negotiate us into our dream home. There were multiple offers on this property and WE received the acceptance of our offer only because Lucy was our agent. She is well networked in the RE community and was able to send us to an amazing loan company. We got our credit fixed AND they got us approved to purchase our dream home. I never once doubted Lucy’s ability to get the job done. She represented us fiercely and fairly and made a very difficult real estate transaction, successful. Lucy was above and beyond professional. She was never more than 10 minutes away at any time by phone or by text. She advised us but let us make our own decision on many factors as well without being pushy.even after we closed and had a problem at the new house she was there to handle the situation. We highly recommend her. Lucy is amazing! Her market expertise, negotiation skills, strong network and experience will put you in the best position to buy or sell your home. With as much time you spend with your Realtor and the trust you put in, you want someone like Lucy. Her positive energy and friendly personality make her a pleasure to work with. Her results speak for themselves. I would highly recommend Lucy! 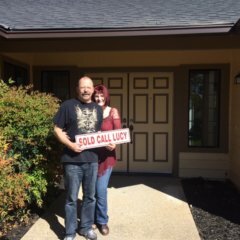 Lucy did a fabulous job in making this home purchase seamless. 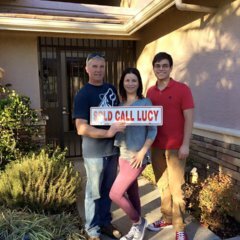 Lucy and her staff answered any question I had about the property, the process, the timelines, and any other information I was in need of, in a timely manner and was very effective in making the purchase of this home possible. There was very little that needed to be done for repairs, but the things that needed attention, Lucy was able to communicate my desires to have them completed before taking ownership of the home. 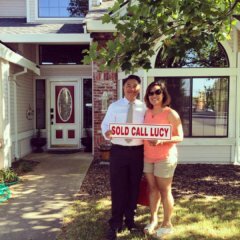 Lucy is a great asset to have in your corner when making a home sale or purchase. She also did a fabulous job in the sale of my last property before I left for a military deployment last summer. Lucy and her staff are kind, considerate, friendly and effective in the process of buying or selling. We love Lucy! 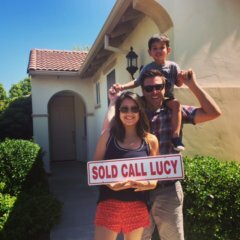 My husband and I had been on the fence about making the move from the bay area to Roseville/Rocklin area for quite some time. After a quick visit to see some friends, and just looking at a few open houses for fun, we saw a house that we fell in love with. 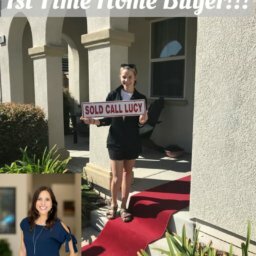 We decided to give Lucy a call that night just to see what information she could get on the status of the house, and within just a few days, she had us in escrow! Lucy is highly skilled with the real estate market, she knows her stuff. She was there with us from start to finish, and went above and beyond to help us close the deal. From the first inspection to our final walk through, Lucy set it all up, and made the process a breeze. 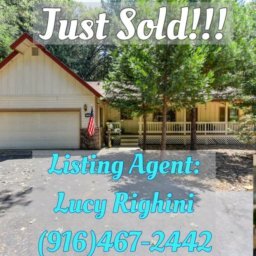 We highly recommend Lucy Righini, and will definitely be going back to her for any of our real estate/home advice needs in the future.